Originally built in 1915-1916 and acquired by McMenamins for $1.2 million in 2009, renovation of the stately six-story stone building is a part of downtown Tacoma’s ongoing revitalization. 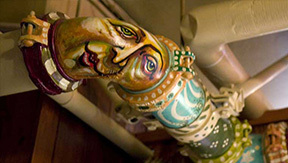 McMenamins has uncovered the original ceilings, interior walls and decorative features of the 100-year-old Beaux Arts building. Adjacent to the building is a stairway called the “Spanish Steps” that winds up the hillside. These steps, modeled after the Scalinata di Spagna in Rome, were rehabilitated in 2011 by a grant from WSDOT and the Federal Highway Transportation Enhancements program. Destined to be a vibrant community hub and travel destination, the $32 million development of the vacant Tacoma Elks Lodge is slated to transform the historic building into a thriving mixed-use civic space. 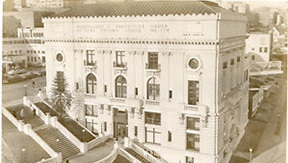 On the heels of the successful completion of the Anderson School, McMenamins has formed Elks Temple Properties LLC (The Company) and is seeking to raise up to $12.5 million from accredited investors interested in putting their dollars to work toward building community in the vibrant and growing downtown Tacoma, Wash., through the renovation of the city’s former Elks Lodge. When complete, the property will be known as McMenamins Elks Lodge and will feature 44 hotel rooms with private baths; space for live music, events, weddings and meetings; a ballroom transformed into hotel rooms with terrace views of Puget Sound; three restaurants; a McMenamins brewery; and on-site gardens that will provide the restaurants with fresh, seasonal ingredients. To solicit funds for the project, the Company is utilizing a recent (Sept. 2013) amendment to the Securities and Exchange Commission’s Regulation D, Rule 506(c), which allows a business to conduct a private securities offering and promote it via media and over the Internet, provided that all purchasers are verified as accredited investors. Perhaps more important than financial returns, McMenamins developments have a positive social impact. The independent, family business invests in projects that fill a community need for downtown areas, dining options, live music and art that showcases local heritage. The public benefits provided by these developments are material to McMenamins as a company and an important component of these property transformations. 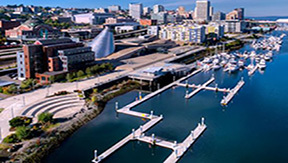 Ideally situated along the Puget Sound and just 20 minutes away from the Seattle-Tacoma International Airport, Tacoma is a city on the rise, with an influx of more than $860 million in recent and planned development in the downtown core in the past several years. Tacoma has a well-deserved reputation as an art destination – the city has the highest density of art and history museums in the state – and McMenamins Elks Lodge will fit right in with an eclectic mix of art pieces from near and far. Nearly $70 million in planned and anticipated renovations to historic buildings including the Winthrop Apartments at 773 Broadway ($15 million), 7 Seas Brewing at S. 21st and Jefferson Streets ($4 million), Pantages Theater at 9th and Commerce ($30 million) and Old City Hall at 625 Commerce (TBD, est. $20+ million). A $15 million expansion of the Tacoma Art Museum (Haub family gift), making way for the new western art exhibit, as well as an additional $14 million expansion (Benaroya family gift) that includes glass, painting and other artwork. The recently completed (January 2015) $20 million, 65,000 square foot YMCA building at the University of Washington Tacoma. Nearly $285 million in new residential developments, adding more than 1,080 additional units downtown, including the Henry Apartments ($32 million), The Grand on Broadway ($33 million), The Napoleon ($30 million), Stadium Mixed Use Project ($40 million), Pierce Transit TOD—transit oriented development ($22 million), 11th and Martin Luther King Way ($40 million) and Presbyterian Retirement Communities along the Foss Waterway ($85 million). Planned future improvements, such as an $85 million, 4-star, 300-room convention center hotel (completion 2019/2020), a $125 million Town Center Project at 21st and Jefferson Streets (2017 start with buildout in 2022), a $166 million expansion of the LINK light rail line with a proposed stop adjacent to the Elks Lodge building (2018) and the relocation of the Amtrak station to Freighthouse Square (2017, $89 million). 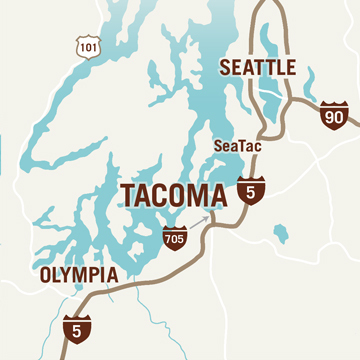 Located a short drive from Seattle at the intersection of major transportation routes I-5 and I-705, Tacoma is home to six world-class museums, the 23,000 seat Tacoma Dome indoor entertainment arena, an emerging food and nightlife scene, a complex network of hiking and biking trails, vast natural areas including the 760-acre Point Defiance Park and easy access to kayaking and fishing along the Ruston Way Waterfront. Only “accredited investors” − individuals with $1 million or more in net worth (excluding the value of the individual's primary residence) or more than $200,000 in annual income (more than $300,000 with their spouse) in the past two years − can purchase the securities. Certain institutions may also qualify as accredited investors. Construction of the project will be managed by a McMenamins entity under contract with the Company and in accordance with historic tax credit guidelines. Investment proceeds will be used to repay the purchase price of the Tacoma Elks Lodge and to develop the property. The Company will also obtain a construction to permanent loan to cover development costs. The redevelopment is approved by the National Park Service for Historic Tax Credits which may also provide additional financing for development. The developed property will be leased for 20 years (with two 10-year renewal options) by the Company to McMenamin’s Brew Pubs, Inc. (a Washington wholly-owned subsidiary of McMenamins, Inc.), which will operate McMenamins Elks Lodge, offering a 46-room hotel; event space for weddings and meetings; a ballroom that will feature a tiny indoor city with “cabins,” skylights, gardens, terraces and more; live music; three restaurants; a McMenamins brewery and a rooftop garden. The Company will receive monthly cash flow from rent paid by McMenamin’s Brew Pubs, Inc. once the McMenamins Elks Lodge opens for business. Cash remaining after debt service (including obligations to the Historic Tax Credit investor, if any) and administrative expenses will be available for distribution to members, who will receive an 8% preferred return. Members may receive additional distributions above that amount under a profit-share split with the McMenamins developer. Cash distributions will be made to members solely at the discretion of the Company's manager. After eight years of operation (from the opening date), the Company has the option to purchase investors’ A Units at 105% of Unit value. Additionally, after eight years of operation, investors will have the option to require the Company to purchase their A Units at 95% of Unit value. In addition to financial returns, members will receive special investor previews of other McMenamins properties, beer, wine, spirits, to-be-announced events and more. The Company offering is not available to residents of New York. In the coming weeks, the Company will make available to interested investors a Prospectus containing important information about this offering, including risk factors, which should be reviewed carefully. Investors will be required to provide supporting documents proving that they are accredited investors. This is a private placement of securities. Securities sold through private placements are restricted and not publicly traded. Members of the Company may not be able to sell their membership interest even if a need for personal funds arises. Investors are purchasing a membership interest in Elks Temple Properties LLC, not a direct interest in real property. Information regarding documentation required to confirm accredited investor status and the Offering Circular are available in the Materials for Download.